WALTHAM, Mass. (March 19, 2018) – Steel Connect, Inc. (the “Company”) (NASDAQ: STCN), today announced financial results for its second quarter of fiscal year 2018 ended January 31, 2018. For a full discussion of the results, please see the Company’s Form 10-Q filed with the Securities and Exchange Commission (“SEC”), which can be accessed through its Investor Relations website. Steel Connect will soon publish its updated Investor Presentation, which will be posted on the Investor Relations website and filed as an exhibit on Form 8-K with the SEC. The Company reported net revenue of $151.1 million for the second quarter ended January 31, 2018, as compared to $117.6 million for the same period in the prior year, an increase of $33.6 million or 28.5%. The year-over-year improvement was primarily driven by the increase in revenue associated with the acquisition of IWCO Direct, offset by anticipated declines in the Supply Chain business due to planned client exits and end of life programs, primarily in the consumer electronics and consumer products industries. Gross margin for the second quarter ended January 31, 2018 was 11.2%, as compared to 9.5% for the same period in the prior year, an improvement of 170 basis points. This was primarily due to the acquisition of IWCO Direct and higher gross margins in ModusLink’s Asian operations and e-Business. Note, IWCO Direct’s gross margins were adversely impacted by a $7.0 million non-cash charge to cost of revenue related to a fair value “step-up” to work-in-process inventory, which was recognized in the fiscal 2018 second quarter. Total operating expenses for the second quarter ended January 31, 2018 were $21.5 million, as compared to $12.7 million in the same period in the prior year, an increase of $8.8 million. Selling general and administrative (“SG&A”) expenses for the quarter ended January 31, 2018 were $30.1 million, as compared to $11.9 million for the quarter ended January 31, 2017, an increase of $18.2 million, primarily due to additional SG&A costs associated with the Direct Marketing segment, higher professional fees associated with the acquisition of IWCO Direct and higher share-based compensation expense. The intangible asset amortization of $4.1 million during the three months ended January 31, 2018, relates to amortizable intangible assets acquired by the Company in connection with its acquisition of IWCO Direct, which includes trademarks, tradenames and customer relationships. The Company recorded a gain on the sale of real estate during the fiscal 2018 second quarter of $12.7 million. The Company reported an operating loss of $4.6 million for the quarter ended January 31, 2018, as compared to an operating loss of $1.5 million for the same period in the prior year. The decrease was driven primarily by including SG&A expenses related to IWCO Direct, associated costs incurred with the IWCO Direct acquisition and share-based compensation, partially offset by a gain on the sale of property. The Company reported net income of $65.1 million for the quarter ended January 31, 2018, as compared to a net loss of $2.9 million in the comparable year-ago period. The biggest factor contributing to the year-over-year increase in net income was an income tax benefit of $77.7 million recognized in the fiscal 2018 second quarter. The Company reported basic and diluted earnings per share of $1.11 and $0.85, respectively, for the quarter ended January 31, 2018, as compared to a loss per share, both basic and diluted of $0.05 for the comparable year-ago period. During the second fiscal quarter ended January 31, 2018, the Company recorded an income tax benefit of $77.7 million. The income tax benefit during the second fiscal quarter is primarily related to the reduction of the Company’s valuation allowance associated with the IWCO acquisition of approximately $79.9 million, partially offset by income tax expense in certain jurisdictions where the Company operates, using the enacted tax rates in those jurisdictions. For the three months ended January 31, 2018, the Company reported Earnings Before Interest, Taxes, Depreciation and Amortization (“EBITDA”) of $1.8 million, as compared to EBITDA of $2.0 million for the same period in the prior year, a year-over-year decrease of $0.2 million. The Company reported Adjusted EBITDA of $6.5 million for the three months ended January 31, 2018, as compared to Adjusted EBITDA of $3.4 million in the same period in the prior year, an increase of $3.1 million. See EBITDA and Adjusted EBITDA reconciliation included in this release. Steel Connect, Inc. is a publicly-traded diversified holding company (Nasdaq Global Select Market symbol “STCN”) with two wholly-owned subsidiaries ModusLink Corporation and IWCO Direct that have market-leading positions in supply chain management and direct marketing. ModusLink Corporation provides digital and physical supply chain solutions to many of the world’s leading brands across a diverse range of industries, including consumer electronics, telecommunications, computing and storage, software and content, consumer packaged goods, medical devices, retail and luxury, and connected devices. With a global footprint spanning North America, Europe and the Asia Pacific, the Company’s solutions and services are designed to improve end-to-end supply chains in order to drive growth, lower costs, and improve profitability. 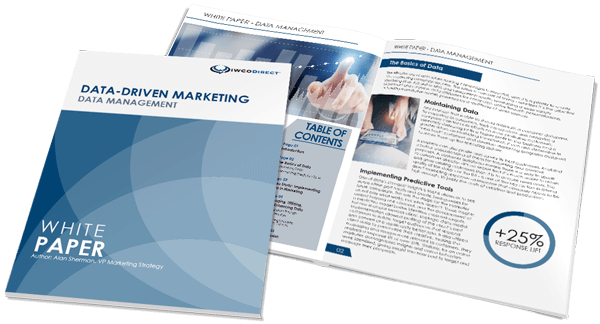 IWCO Direct is a leading provider of data-driven marketing solutions that help clients drive response across all marketing channels to create new and more loyal customers. It is the largest direct mail production provider in North America, with a full range of services including strategy, creative, and production for multichannel marketing campaigns, along with one of the industry’s most sophisticated postal logistics strategies for direct mail. For details on ModusLink Corporation’s solutions visit www.moduslink.com, read the company’s blog for supply chain professionals, and follow on LinkedIn, Twitter, Facebook, and YouTube. For details on IWCO Direct visit www.iwco.com, read the company’s blog, “Speaking Direct,” or follow on LinkedIn, Twitter, and Google+. In addition to the financial measures prepared in accordance with generally accepted accounting principles, the Company uses EBITDA and Adjusted EBITDA, non-GAAP financial measures, to assess its performance. EBITDA represents earnings before interest income, interest expense, income tax expense, depreciation, and amortization of intangible assets. We define define Adjusted EBITDA as net income (loss) excluding net charges related to interest income, interest expense, income tax expense, depreciation, amortization of intangible assets, SEC inquiry and restatement costs, strategic alternatives and other professional fees, executive severance and employee retention, restructuring, non-cash charge related to a fair value step-up to work-in-process inventory, share-based compensation, gain on sale of long-lived asset, impairment of long-lived assets, unrealized foreign exchange (gains) losses, net, other non-operating (gains) losses, net, and (gains) losses on investments in affiliates and impairments. We believe that providing EBITDA and Adjusted EBITDA to investors is useful, as these measures provide important supplemental information of our performance to investors and permits investors and management to evaluate the operating performance of our core supply chain business. We use EBITDA and Adjusted EBITDA in internal forecasts and models when establishing internal operating budgets, supplementing the financial results and forecasts reported to our Board of Directors, determining a component of incentive compensation for executive officers and other key employees based on operating performance and evaluating short-term and long-term operating trends in our core supply chain business. We believe that EBITDA and Adjusted EBITDA financial measures assist in providing an enhanced understanding of our underlying operational measures to manage the core supply chain business, to evaluate performance compared to prior periods and the marketplace, and to establish operational goals. We believe that these non-GAAP financial adjustments are useful to investors because they allow investors to evaluate the effectiveness of the methodology and information used by management in our financial and operational decision-making. EBITDA and Adjusted EBITDA are non-GAAP financial measures and should not be considered in isolation or as a substitute for financial information provided in accordance with U.S. GAAP. These non-GAAP financial measures may not be computed in the same manner as similarly titled measures used by other companies. Steel Connect, ModusLink and IWCO Direct are registered trademarks of Steel Connect, Inc. All other company names and products are trademarks or registered trademarks of their respective companies. This release contains forward-looking statements within the meaning of the Private Securities Litigation Reform Act of 1995. Statements in this release that are not historical facts are hereby identified as “forward-looking statements” for the purpose of the safe harbor provided by Section 27A of the Securities Act of 1933, as amended, and Section 21E of the Securities Exchange Act of 1934, as amended. All statements other than statements of historical fact, including without limitation, those with respect to the Company’s goals, plans, expectations and strategies set forth herein are forward-looking statements. The following important factors and uncertainties, among others, could cause actual results to differ materially from those described in these forward-looking statements: the Company’s ability to execute on its business strategy, including any cost reduction plans and the continued and increased demand for and market acceptance of its services, which could negatively affect the Company’s ability to meet its revenue, operating income and cost savings targets, maintain and improve its cash position, expand its operations and revenue, lower its costs, improve its gross margins, reach and sustain profitability, reach its long-term objectives and operate optimally; failure to realize expected benefits of restructuring and cost-cutting actions; the Company’s ability to preserve and monetize its net operating losses; difficulties integrating technologies, operations and personnel in accordance with the Company’s business strategy; client or program losses; demand variability in supply chain management clients to which the Company sells on a purchase order basis rather than pursuant to contracts with minimum purchase requirements; failure to settle disputes and litigation on terms favorable to the Company; risks inherent with conducting international operations; and increased competition and technological changes in the markets in which the Company competes. For a detailed discussion of cautionary statements and risks that may affect the Company’s future results of operations and financial results, please refer to the Company’s filings with the Securities and Exchange Commission, including, but not limited to, the risk factors in the Company’s most recent Annual Report on Form 10-K. These filings are available on the Company’s Investor Relations website under the “SEC Filings” tab. All forward-looking statements are necessarily only estimates of future results, and there can be no assurance that actual results will not differ materially from expectations, and, therefore, you are cautioned not to place undue reliance on such statements. Further, any forward-looking statement speaks only as of the date on which it is made, and we undertake no obligation to update any forward-looking statement to reflect events or circumstances after the date on which the statement is made or to reflect the occurrence of unanticipated events. The information provided herein includes certain non-GAAP financial measures. These non-GAAP financial measures are intended to supplement the GAAP financial information by providing additional insight regarding results of operations of the Company. Certain items are excluded from these non-GAAP financial measures to provide additional comparability measures from period to period. These non-GAAP financial measures will not be defined in the same manner by all companies and may not be comparable to other companies. These non-GAAP financial measures are reconciled in the accompanying tables to the most directly comparable measures as reported in accordance with GAAP, and should be viewed in addition to, and not in lieu of, such comparable financial measures.